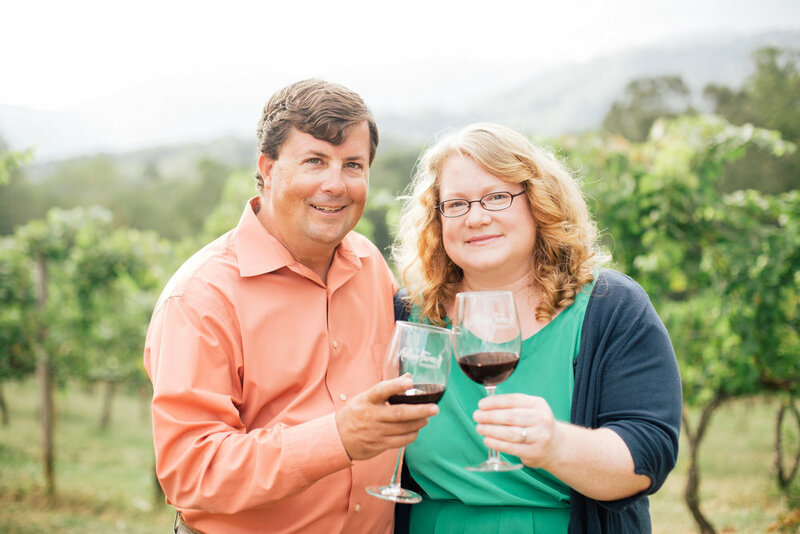 Addison Farms Vineyard is a family-owned vineyard and winery situated on 55 acres in Leicester, NC. Located approximately 17 miles northwest of Asheville, NC, the property has been in the family for four generations. Addison Farmer and his parents purchased the property in 1937. We began this adventure with the vineyard and winery as a way to preserve the family farm for future generations. In 2009, Addison Farms Vineyard planted the first acre of what is planned to be a 10 acre vineyard. 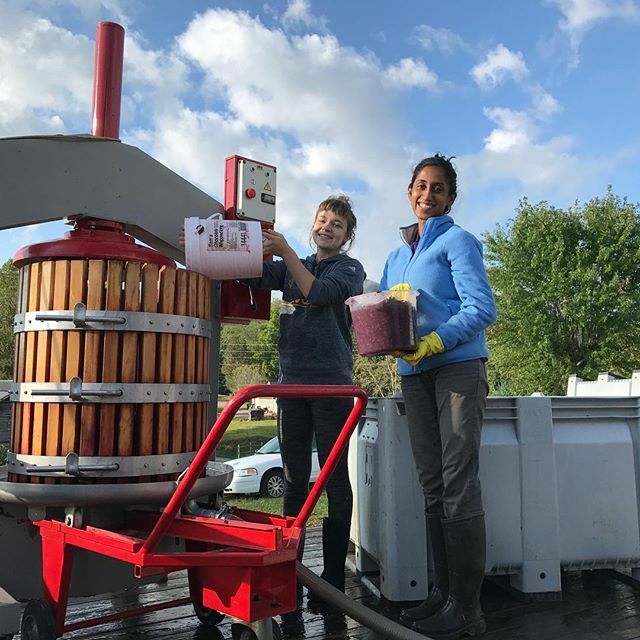 The vineyard has expanded a little each year, currently at a little over six acres, with an additional two acres in Leicester under Addison Farms management. The vineyard is at an elevation between 2250' and 2300'. As of August 2016, we have six varieties in the vineyard: Cabernet Sauvignon, Cabernet Franc, Sangiovese, Montepulciano, Petit Verdot, and Petit Manseng. Today, we produce award-winning wines from fruit we grow and from our partner growers at Two Moons Vineyard, Moon Lake Vineyard, and Spring Branch Vineyard. Our current production is around 1000 cases annually. The Frisbee family invites you to join us at the Addison Farms Vineyard tasting room. We have a fantastic team of hosts: Arianna, Shruthi, Griffin [her third year with us! ], and Eliza, in our tasting room, to help our guests experience the wines and vineyard. Shruthi and Arianna are managing the cellar and the vineyard, and Eliza helps in the vineyard too. We can't do it all on our own, and we are very pleased with the team we have today. In the background, we have Terri just completing three years in the community outreach/marketing role.